CHANNEL DELAYS: Weather delays some services. P&O Dover-Calais 60mins, MyFerryLink Dover-Calais 30mins, DFDS Dover-Calais/Dunkirk 30mins. WEATHER ALERTS: Amber alerts snow Norway, flooding France, avalanche Slovenia, coastal event Spain. WEATHER: Windy and wet in Northern and Western Europe, better to the South and East. ROADS: Recent heavy snow in the Alps. Some local roads still closed south Switzerland. Avalanche warnings. Snow yesterday across the Massif Central high ground in south central France. Snow central and south Austria above 900m. TRAFFIC: Still quiet overall. Earlier cross border queues south Germany>Austria dispersed. Accident A61 southbound at Ludwigshafen persistent delays this afternoon, currently 30mins J59-60. ROAD RAGE IN THE ex-USSR. 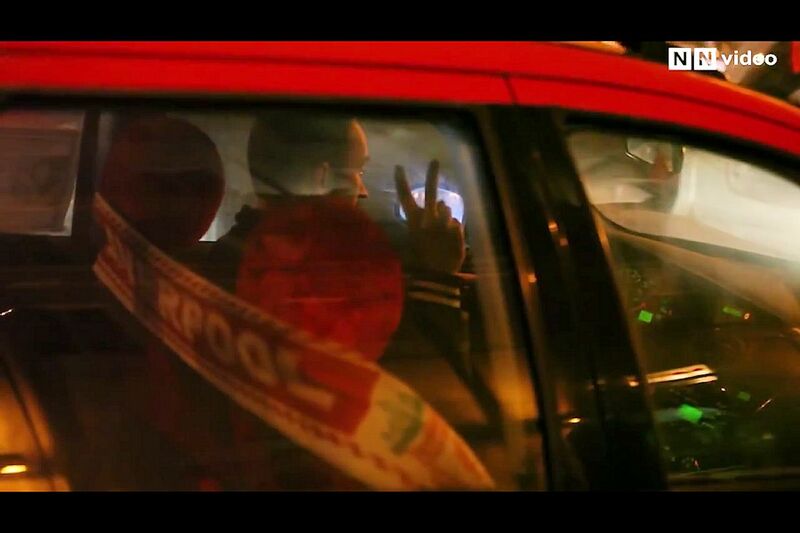 Bolshie drivers at the forefront of the freedom movement. It started in Russia with the Society of Blue Buckets. A loose group of drivers upturned the children’s seaside toy on the roofs of their cars to mimic self-important officials careering through Moscow with outriders and flashing blue lights. But they also noted times and places and embarrassed a number of high ranking politicians and businessmen – even celebrities – by reporting them for causing accidents and abusing the rules. The Blue Buckets also dared to take on Ramzan Kadyrov after the fearsome Chechen leader Instagrammed himself driving at 150mph (after which Kadyrov banned himself from driving). Meanwhile in Ukraine, an organisation called Road Control has been deeply involved in the pro-Europe Maidan demonstrations. At the height of the protests, pictures of a bulldozer driven straight at ranks of riot police – and the presidential compound – have become enduring images of the entire event. It was initially dismissed as the work of provocateurs, pro-government forces attempting to provoke a crackdown. In fact, Andrei Dzindzia – a high profile member of Road Control – is currently in prison over the incident though there are widespread doubts about his conviction. Road Control far pre-dates the Maidan riots. It was set up in 2008 to expose corrupt traffic police by catching them in the act and posting the videos on-line. In the wake of Maidan several Road Control activists have been attacked – including one shooting – leading to fears the security forces are out to get members of the organisation. Leader Rostislav Shapozhnikov has fed to Poland in fear of his life. 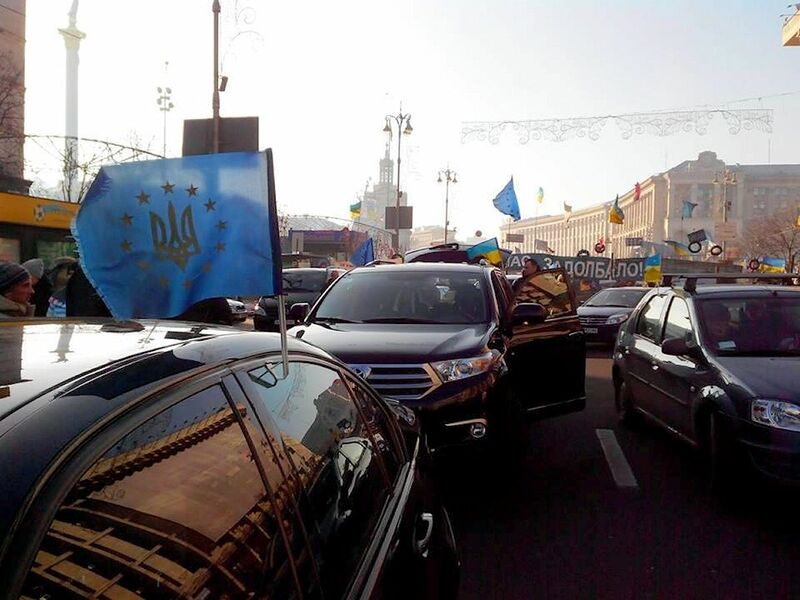 Perhaps bravest of all was the demonstration in central Minsk on 20 December. Hundreds of drivers cruised up and down Independence Avenue, honking horns and ‘breaking down’ in protest at a new road tax. Dissent is not tolerated in Belarus, dubbed ‘Europe’s last dictatorship’. Many arrests were made but the drivers are not giving up. A further protest was prevented on 27 December but there’s another one planned for 5 January. Buzzfeed foreign editor Miriam Elder first noticed the link between drivers groups and the freedom movement in the former USSR (and wrote the original Guardian article about the Society of Blue Buckets). Why there should be this connection is still an open question. Cars and freedom have always been intertwined in the West but these new movements in the East are of a different order entirely. BOSNIA. 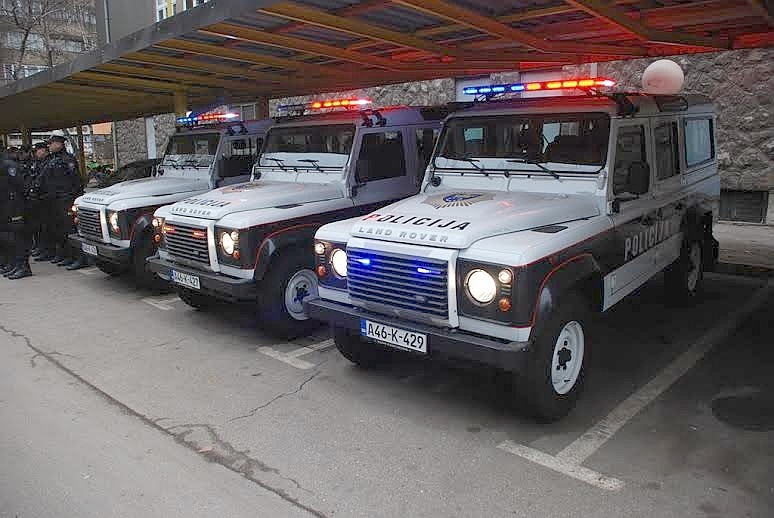 Police in Zenica, central Bosnia, have taken delivery of three new Land Rovers today, ideally suited to the mountainous terrain in the region. Meanwhile it was announced yesterday that a five year project to rejuvenate 1,350km of roads around the country has been completed, on time and on budget. Most importantly, the funds are finally in place to start construction of the first stretch of Corridor 5C north of Zenica. Much of the motorway – eventually connecting Budapest and the Adriatic – is already open between Zenica and Sarajevo with works on-going further south. National roads builder Autoceste FB&H hopes to have 120km of 5c open this year, over twice that currently in use. .roundup – GIBRALTAR. Border controls will be stepped up in the New Year according to local GBC News reporting of a written question in the Spanish parliament. Queues have been relatively short so far over the holiday period. SPAIN. A driver in Gran Canaria has been fined €80 for chatting to a passenger. Police said the man was ‘driving a vehicle without maintaining constant attention to the road’ reports Olive Press.